This one-day programme equips participants with the knowledge and skills to carry out VDU Assessments correctly. 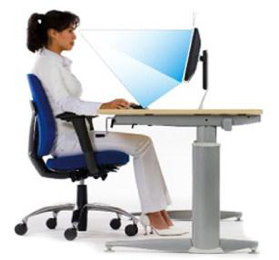 Managers, supervisors, office personnel responsible for VDU operators and workstations. The course is highly participative. Participants take an active role in all modules. They are provided with a variety of checklists to facilitate them in assessing VDU workstations in their workplace.